All Finger Lakes wines were provided as media samples by Finger Lakes Wine Alliance. As I mentioned in my introductory post to the Finger Lakes region last week, I received a box with five samples to try during the Finger Lakes Wine Month’s final virtual tasting held on Twitter and Facebook last Saturday. There were two Gewürztraminers, one Riesling, one Cabernet Sauvignon/Merlot blend and one Cabernet Franc in the box. Given that five bottles are a lot, and that I like company, I invited my friend John, The Food and Wine Hedonist, to come with his wife and share the fun. Then I found out that Jeff, The Drunken Cyclist, was also going to be in town, so I strong-armed him into joining us as well. Add in two friends who are also quite into wine and we had a party. We got some cheeses and different, thinly sliced bacon (including a lamb bacon) to go with the wines and naturally some baguette. It’s what we used to do all the time in Germany where wine, cheese, bacon and bread all were way cheaper than here…oh, the good old days. The “virtual” in this tasting was achieved by us wine bloggers taking photos of the bottles and tweeting our first impressions out to the world. Some of the winemakers were also active on Twitter, so it was a nice back and forth at times. I do have to say that I did struggle a bit in the beginning, because it is an awful lot to handle: trying a wine, taking a photo, finding a half witty 140 letter post, posting it, reading what others post…it does become exhausting. Jeff was much more of a pro, but he’s also done it before. It was a lot of fun, though, all in all! Jeff, in his capacity as #ChampagneSlut (a handle I like to add to his name on Twitter because he is very much into the bubbles) brought a bottle of Rose Champagne from Ruinart to begin with. By that, he saved me since somehow I had totally spaced what to start the tasting with…Now I am not much of a bubbles drinker, and am usually at a loss describing them. I think the bubbles occupy me too much to focus on flavors. 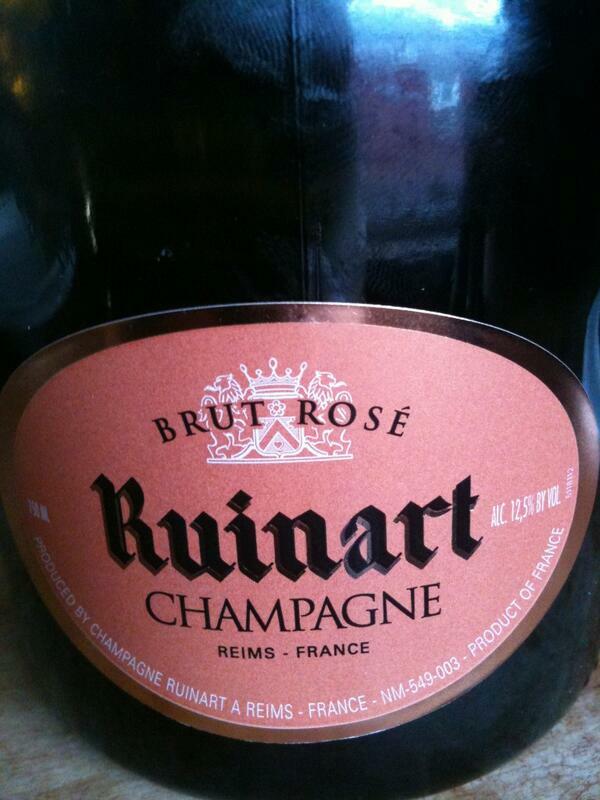 But I can tell you that this Ruinart champagne was very good, nicely spicy. I thought the bubbles were a bit too aggressive, but what do I know? Everyone seemed to really like it and I enjoyed it quite a bit as well. 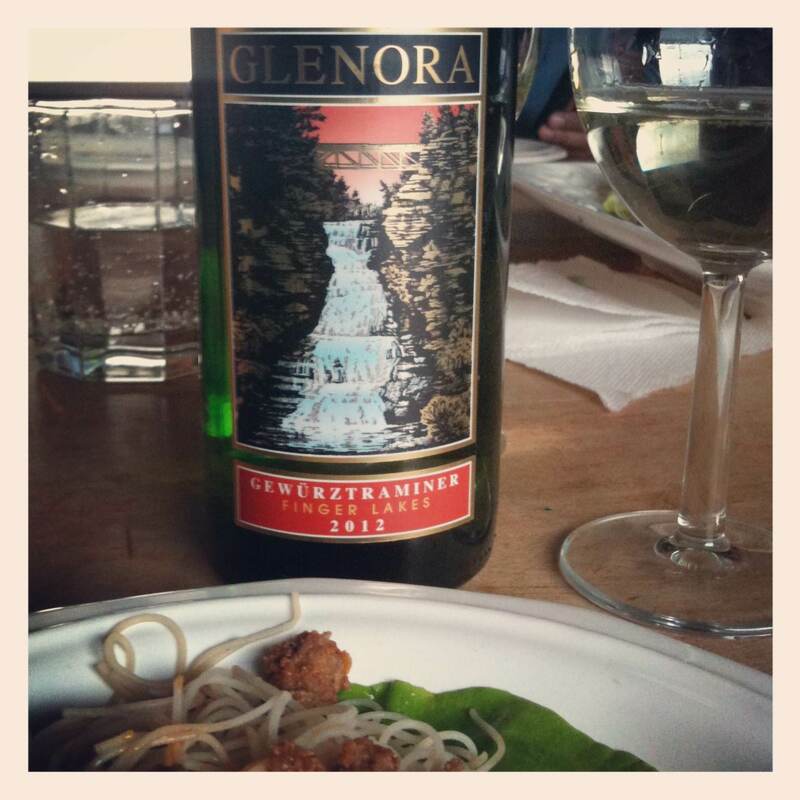 First up was the Glenora Wine Cellars 2012 Gewürztraminer. The winery is located at Seneca Lake and has been around since 1977. The wine had 13% ABV. It showed a surprisingly light color in the glass. The nose was beautiful: floral and perfumy, with some sweetness. A very typical Gewürztraminer nose in my book. On the palate, there were again floral aromas, and the wine was a tad heavier than I wanted it to be, but luckily it tasted less dry than advertised. I really believe the, still low, residual sugar helped this wine tremendously. Nice, lingering finish. It also paired exceptionally well with the lettuce wraps. This was definitely a crowd favorite of the evening! 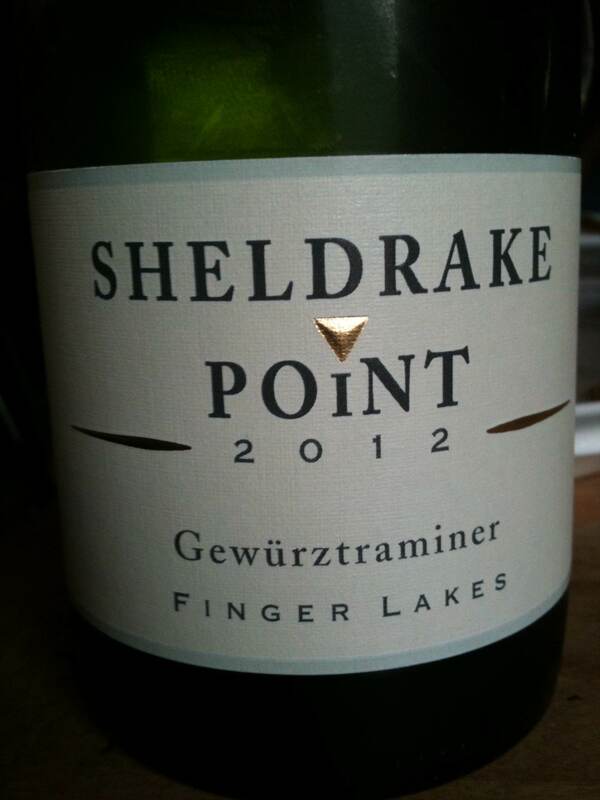 Next up: The Sheldrake Point Vineyard 2012 Gewürztraminer. Sheldrake Point Vineyard was founded in 1997 and is located at Cayuga Lake. This wine had 13.4% ABV. First off, let me say that I really liked the label. Most of the wineries’ labels this evening could benefit from less clutter and more modern appeal. Sheldrake Point definitely stood out positively! In the glass, we got a light colored wine. The nose was in stark contrast to Glenora’s wine: much more focused and clean, with just hints of Gewürztraminer aromas. This continued on the palate, which all in all was too subdued for me. There were pear aromas which I liked. But most of all, the wine had too much heat which made it seem unbalanced. You could really taste the 13.4% ABV, which were too much for me. Up next, and now tasted with cheeses and bacon only, was the Swedish Hill Winery 2011 Dry Riesling. 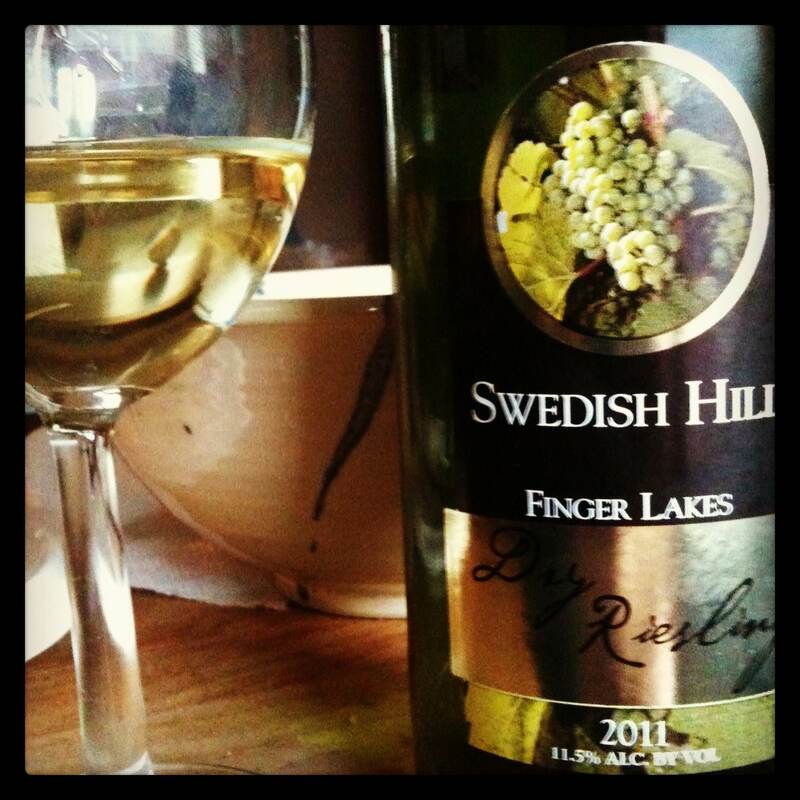 Swedish Hill is one of the larger producers in the Finger Lakes region and has been around since 1969. The wine had 11.5% ABV. It poured in a quite golden color, which I found rather exceptional in a dry Riesling, very pretty. The nose was a bit weird: It showed signs of petrol, which I usually don’t expect to find in young Rieslings, but not much else. I am not sure I would even have recognized the nose as Riesling. On the palate, the wine showed good acidity and very, very intense citrus aromas. I don’t think I ever came across a Riesling that was so decidedly citrussy. It was very refreshing, but maybe a bit one dimensional. There was agreement around the table that there might have been something wrong with the bottle, because there was what I can only describe as some funkiness going on…so, not entirely sure. But definitely an interesting tasting wine. 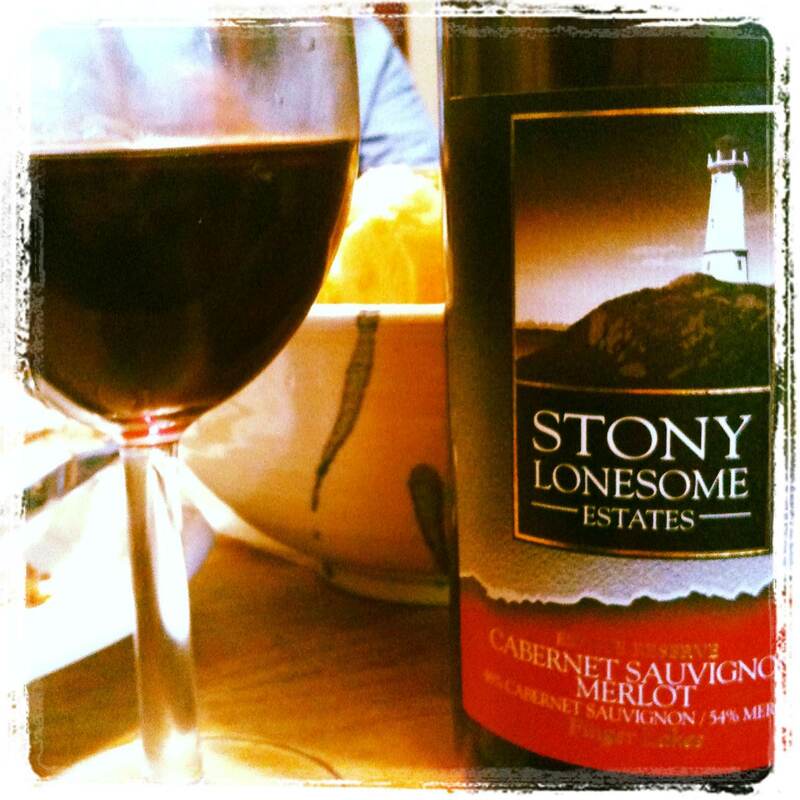 We then moved on to the reds: First up, the Stony Lonsesome Estates NV Cabernet Sauvignon/Merlot blend. On paper, this was an interesting experiment: It was blended from 54% Merlot and 46% Cabernet Sauvignon, with the Merlot coming from the 2010 vintage and the Cabernet from the 2011 vintage. The grapes were harvested from some of the oldest vines for their varieties in the Finger Lakes (both planted in 1982). Stony Lonesome Estates is one of three wineries (and a brewery) run by Three Brothers Wineries. The wine had 11% ABV. I was intrigued by the idea to blend two vintages for this wine, and I really wanted to like it. But when I tried it, I struggled: It poured in a surprisingly light color, which one would not expect from a Cab Sav and Merlot blend. It looked much more like a Pinot noir. The nose showed some nice fruit, but on the palate the wine just didn’t work for me. It tasted too sweet (despite the winery information stating it contains 0% of residual sugar), and I am not sure the varieties came through for me. It felt a bit all over the place and unfocused. I can see this as a summer afternoon wine, out on the patio, maybe slightly chilled. But I just could not see it achieving what the winemaker had hoped for, especially at the suggested retail price point. That was a bit sad. 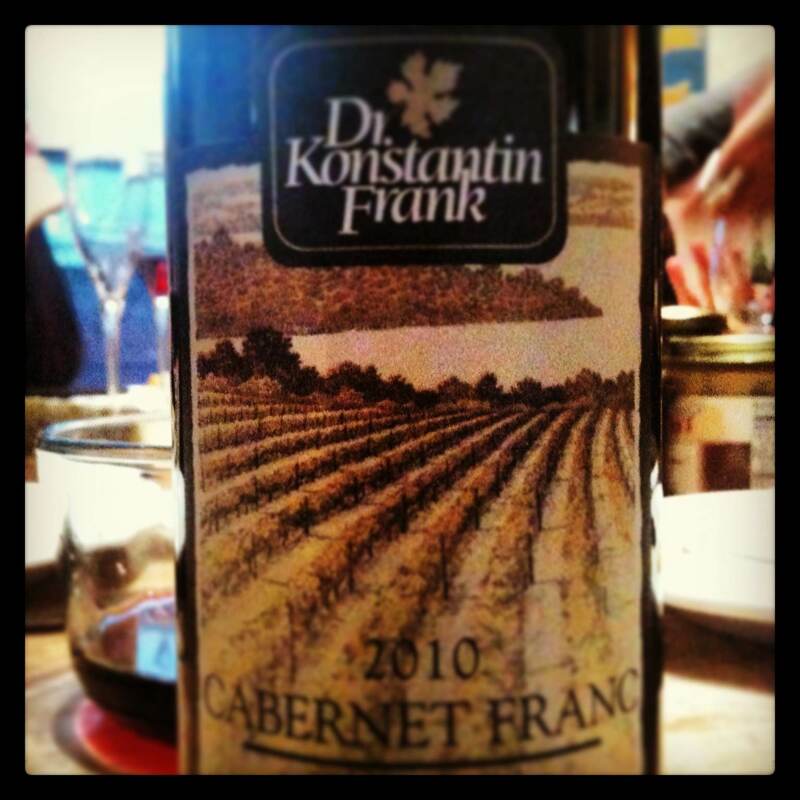 Last up came the Dr. Konstantin Frank Cabernet Sauvignon 2010. The wine clocked in at 12.8% ABV. As I explained in my introductory post, Dr. Frank is one of the leading wineries in the region. And boy did this wine shine! Great color, and a great herbal nose, branchy, earthy, just fabulous. Very old world style. Initially, it had a very earthy feel to it. It was greatly balanced and had a lingering, long finish. A bit later, the wine became much more fruity and that was a very pleasant surprise. This was a uniquely interesting and well made wine and seemed like a great fit for the region. Everyone at the table was very impressed. What a great finish to a fascinating tasting experience. I really want to go and explore the Finger Lakes more now that I have tasted some. Definitely worth investigating more. To finish off the evening, we cracked open another bottle of Champagne provided by John, and two German Rieslings which I intend to write about in separate posts…it was a wonderful evening all around. Dr.Konstantin Frank and Red Newt were the 1st two FL Rieslings I came across 4 years ago here in Ohio so they will always have a special place in my heart. Several years later and several trips to the Region there are quite a few Wineries I love. Heron Hill, Dr. Frank, Kueka Lake Vineyards and Ravines on Kueka Lake. Fox Run, Anthony Road, Hermann Wiemer, Glenora, Hazlitt, Lamoreaux Landing, Red Newt and Damiani on Seneca Lake. And lastly Swedish Hill, Sheldrake Point and Hosmer on Cayuga Lake. Thank you so much for your detailed feedback! I will put these wineries on my list!! Are you going there often? Or just drinking them from Ohio? I travel to the Region 3 times a year and will be up for FLWF July 12-14. What a wonderful description of a great night, Oliver! Excellent, clear reviews (as always) of a lot of different wines! I have been curious to try some of the wines in the Dr Konstantin Frank line up for a while now, but have not had a chance to yet. Your review of their Cab may just be the right motivator for me! It sounds like a very good wine. Congrats once again for taking part in this cool event and thank you for sharing it with us all! Thanks for your words. It is actually not easy to keep track of the wines during a Twitter tasting and having friends around. You don’t want to miss out on the fun at the table, and so it takes a bit to reassemble what I liked about the wines…and what not. During the other tastings with our friends, I usually jot down some notes, but this time I failed…it all worked out, though! I’d say go for Dr. Frank if you get a chance! It is also “rather” reasonably priced (20 bucks, I believe)…at least for American standards. Hehehe: you bet!!! :-) And BTW, you know that you are the top commenter on C&C too?!? I can only imagine how hard it must have been for you to classify all hose wines in so little time and without taking notes!!! You did an awesome work, thank you! Not much sightseeing possible in Duesseldorf anyway…I wish you had some time, because if you even had just like 3/4 of a day, I would send you to the Mittelrhein region, two outstanding wineries just south of Koblenz…let me know if you want details! Thanks so much to Oliver and Nina for hosting the event! I had a blast. Other good news: I have five different wines that were sent to me for the evening that are now demanding to be consumed. Anybody up for a repeat in Philly? Ha! Well, as I said, we’ll be in Philly in early October and I was hoping to meet up with you anyway…so, if you can hold on to the wines for that long (doubtful, I know) we’d be happy to share in the fun. It was really a splendid evening! Add Lamoreaux Landing, to Ravines and more Dr Frank. LL makes an outstanding pinot noir in good years (as does Ravines). Glad you enjoyed Frank. Most Finger Lake producers (and vines) are still extremely young and many make most of their money in tasting rooms catering to a fairly inexperienced, lower middle class wine crowd (there’s no San Francisco nearby to feed Napa-esque aspirations, nor an NYC for Long Island, nor an LA for Santa Barbara, nor Portland for Dundee). So much of it (like most wine) is forgettable, sweet, easy. But there are some definite stars. Thanks for the review. I miss living out there! I appreciated your descriptions, also, clear and concise. 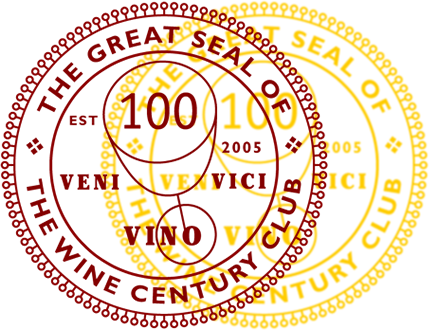 I have a question about the Frank — did it shine only in comparison to the night’s other wines, or to general expectations of Finger Lakes Region wines, or would you say that it was a wine of superior quality in comparison to other of the worlds’ good wines, especially compared to others of the old world style? What a great question, because we actually discussed it at length during the evening. I think this wine actually shines on its own. It is well made, and it has a character to it that one can appreciate. 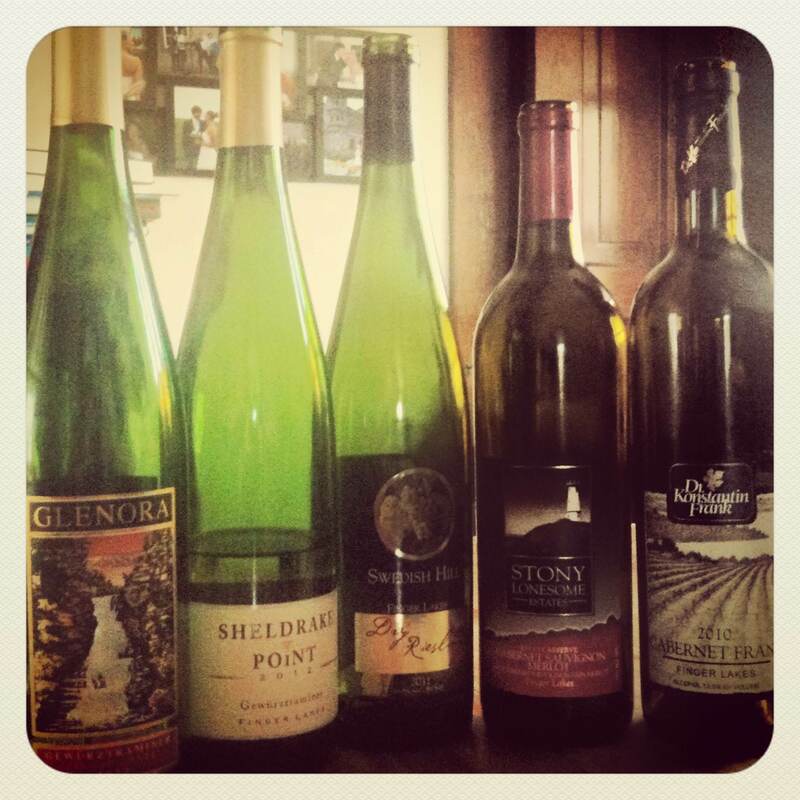 My knowledge of Finger Lakes wines is very limited, so it is hard to put it into perspective. But I would venture to say that this wine can compete with good quality European reds, say from France. I would not say it is at the top end, but it was definitely an enjoyable wine that was clearly made by someone with an idea what they were doing and what they wanted to achieve. And that quality can be appreciated in any wine. That’s good news–the Finger Lakes has the climate to produce some good wines, and it’s terrific to hear that winemakers are moving in who are up to making the most of what’s there. Thanks for that tip!! I have three bottles of Finger Lakes Rieslings that a friend of mine brought us when he visited from Buffalo. I think it’s a Ravines, a Chateau Lafayette Reneau and a Wagner. Will have to try them one of these days…:) But I will make sure to tell my friend to pick us up some Wiemer next time he comes. I know! I would only buy it if I had sampled it and found it to be stellar–which we did, so we bought a case once–not just a random case picked out by the vineyard, but the exact bottles we thought were worth the price. I thought it was a little of both. The red that preceded the Frank was not very good (surprisingly so), and the Frank was very good. It also underscored that states like NY and PA should adopt Cab Franc as their “native” red wine. I really think it does well in that type of climate. So both of our wives had a great time…that bodes well for future endeavors!! My wife, however, did not have such a great time (she stayed with my sister-in-law and our two boys). #HerLoss! Well, it was not for lack of inviting her. She should have put her foot down and shoved your boys at your sister in law…:) I am really looking forward to meeting her one of these days. I have sampled quite a few Finger Lakes’ products before and had a hard time finding many that were drinkable. I wrote the region off. It sounds like you had two standouts though. Yes, two of them were really good for sure. It seems like it pays off to look out for certain producers. Sounds like a fantastic evening . . . and great fun!! #ChampagneSlut . . . LOVE it!! Salud!